Melissa Martinez, the Diplomat in Residence for the Midwest from the Department of State, was here on campus earlier this week to talk about careers in the foreign service. Ms. Martinez spoke frankly about the challenges of a diplomatic career: accommodating the careers and needs of spouse and children, physical danger, difficulties staying in touch with family and friends, sometimes inconvenient and uncomfortable working conditions. She emphasized that it is not the glamorous, urbane life often depicted in the media. However, she also stressed the rewards of the job: the opportunity to travel, a career path that can span continents and offer new opportunities to learn, the support provided for relocation and family/household needs (including language training, health care, and mentoring), and above all, the opportunity to make a difference while representing your country. Ms. Martinez stressed the value of excellent communication skills — not only in the lengthy application process, but also in performing the work of the foreign service. While some specialized career tracks require specific expertise or technical skills, there are others that rely on a broader skill set, and there are five general career tracks that are open to all. The only requirements for entering the foreign service, she told us, are (1) US citizenship, (2) being at least 21 years old, and (3) being prepared to go anywhere in the world. For those interested in exploring this career path while they are still in school, there are a number of internship opportunities: paid, unpaid, and remote, as well as specialized fellowship programs. 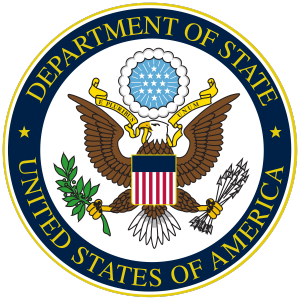 She encouraged anyone pursuing these opportunities to spend some time looking over the various bureaus that make up the Department of State in order to target their internship application towards the particular areas of greatest interest to them. Learn more by contacting Ms. Martinez at the Office of International Affairs at the University of Illinois at Chicago, where she is based, and by checking out the Department of State’s online forums. This entry was posted in career, internship by KW. Bookmark the permalink.